All Europeans can lay claim to this ancient past either because they live on or descend from some part of its territory, or because their ancestors were drawn to this Greco-Roman space and settled there during the early Middle Ages. Antiquity bequeathed numerous terms and expressions to Europe. For centuries, Latin was considered the language of culture for a majority of the continent. During the Middle Ages, it was also the written language of European scholars, save in the Eastern European holdings of the Byzantine Empire where scholars still wrote in Greek. 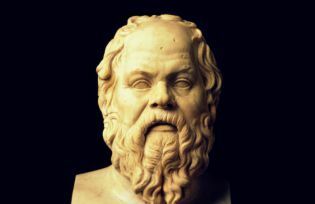 Antiquity also bequeathed important intellectual and political legacies to Europe, the first being the ancient Greek conceptualization of democracy. This became the ideal political form of government starting at the time of the French Revolution. As democracy spread throughout Europe, the continent was further transformed into its global representative and champion. Starting in the 16th century, the dominant historiography of Western scholars and academics divided the European past into three eras: antique, medieval and modern. Even if equivalents can be found in other civilizations and in other historiographies, the Antique/Modern dialectic is most strongly linked to the history of the West and particularly the European West: it obviously has no meaning for Americans. The new religious system of Christianity, which established itself in the Greco-Roman space during the Middle Ages, split between Roman Catholicism and a reformed Christianity in the 16th century. Many historians attribute too much importance to this Reformation and the subsequent opposition between Catholics and Protestants. If we consider the long run of history, the latter appears less fundamental. The affirmation in the 18th century of a secular and rational mind is much more important. Some historians also highlight another period, commonly called the “Renaissance”. Other renaissances preceded it, however: the Carolingian renaissance, that of the 12th century, etc. The “Great Renaissance” is more properly understood as the end of a long medieval era. In fact, a truly new historical period appears only in the middle of the 18th century, under the double sign of industry and reason. It is mainly characterized by the political and social stabilization of the countryside, by the disappearance of famine, by the transformation of the economic system through the invention of the steam engine and the birth of industry (which appeared in England and quickly spread all over the continent), and finally by the turn towards rationalism, which fought Christian religious practice and took tangible expression with the publication of the Encyclopedia in 1753. Finally, the last great characteristic of this new era: starting with the French Revolution of 1789, democracy slowly replaced the political form of monarchy that had dominated Europe in the Middle Ages. It has been a long transformation, culminating in the middle of the 20th century with the end of Europe’s last dictatorships and the assertion of the democratic nature of the states gathered together as the European Union in 1957. History is produced by the accumulation of successive layers: this is particularly true for Europe. Each layer is both an enrichment of what has come before and a step forward. Europe’s identity derives from the inheritance of all these layers. Without a doubt, Christianity has played an important role in European history, but this religious moment, particularly during the Middle Ages, does not prevent a future call for a secular Europe, which, in its turn, although moving beyond it, does not negate its Christian roots. The Europe of cathedrals, the Europe of scholars, the Europe of universities, the Europe of castles, the Europe of thrones and monarchies, the Europe of the Encyclopedia, the Europe of the Enlightenment, which goes from Paris to Naples and Lisbon, and even spreads, in this case, all the way to Saint-Petersburg: all of this belongs to us. Who facing a cathedral hasn’t felt proud of European art and its spiritual sensitivity? Who on the Palatine Hill hasn’t heard the echo of common civilization? Who, when crossing the bridge over the Rhine between Strasburg and Kehl, hasn’t thought that he was crossing a past space of invasions and disunion, now symbolizing a reconciled Europe? Although they have been established under different forms, schools are one of the dominant inheritances of Antiquity. They are essential for European identity and constitute one of the primary forces of Europe. Without any doubt, the second greatest legacy of Antiquity is the construction of roads, which at the time were essentially marked out for military purposes. Their density turned Europe into a world of exceptional communication. The care for historical memory has further sustained Europe’s creativity and influence. This role was most often allotted to the church which, starting from the 4th and 5th centuries, became the essential European cultural, spiritual, and scholastic center, a place where people met and exchanged ideas. Pilgrimage is another means of cultivating collective memory. Pilgrimage includes three unifying elements to it: beyond the road, the Saint – an important figure in Christianity found all over Europe, and the tomb and the church built upon the tomb. Starting in the High Middle Ages, Christian Europeans’ main pilgrimage was to Jerusalem, a voyage conceived as a return – beyond Europe – to the founding site of Christianity. The second pilgrimage affecting all European Christians started in the 9th century to Saint James of Compostela in Spain. This world of spiritual travelers is among others the European world of roads that lead to Saint-James. Rome easily distinguishes itself as the city of Peter and Paul’s martyrdoms, as well as the residence of the Chief of the Church, the pope. Finally, the jubilee symbolizes the attraction of the Roman pilgrimage. First decreed by Pope Boniface VIII in 1300, it still draws numerous Christians to Rome from all over Europe. This rich memory constitutes a springboard for the future as well as a solid base for our understanding of Europe. Jacques Le Goff has been one of the foremost Medieval scholars at work today. His work has never ceased to explore the Medieval mentality and has had a profound influence on how historians view the Middle Ages today. His published works include Hommes et femmes du Moyen Age (Editions Flammarion, 2012) translated by Laterza in Italy (Uomini e donne del Medioevo, 2013), L’Europe est-elle née au Moyen Age? in the series “The Making of Europe” directed by Le Goff and jointly published by Editions du Seuil in France, Laterza in Italy, Beck in Germany, Blackwell in UK and Critica in Spain (2003); his latest publication is Faut-il vraiment découper l’histoire en tranches? (Seuil, 2014).